Your financial contributions help UMFS provide stable, secure, and loving homes for children in foster care. UMFS’ foster care program relies on donors like you to help meet immediate physical and emotional needs of foster children, provide ongoing support, and give children security, self-sufficiency, and confidence. According to AFCARS data, there are approximately 440,000 children in the United States and 5,000 Virginia children in foster care. As you consider your finances and plan for the future, we encourage you to learn more about tax deductions and other benefits you receive from charitable donations. In 2016, over 37 million United States taxpayers donated $236 billion in charitable contributions according to the Tax Foundation. Over 1.2 million Virginia residents donated over $6.7 billion or an average of $5,538. You, too, may earn a tax deduction and reduce your tax burden when you contribute to a qualified charitable organization like UMFS. UMFS is a registered 501 (c)(3) in the Commonwealth of Virginia. You may take a charitable donation deduction if you itemize deductions on your tax return. In general, you can deduct charitable donations of up to half of your adjusted gross income. To qualify as a charitable donation this year, your contribution must be made by December 31. There are a variety of ways you can make a financial contribution to support foster care, while also receiving a valuable tax deduction. Monetary donations help foster children obtain the support they need most. 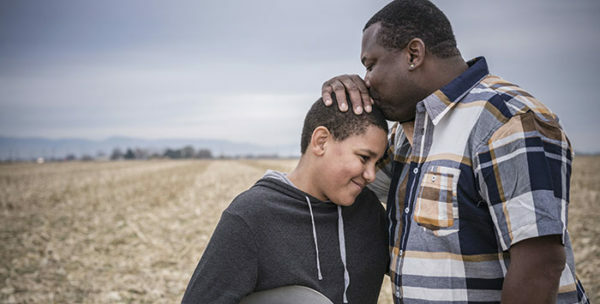 The UMFS Treatment Foster Care Program works with foster children and teens who are working to overcome past trauma or abuse or are struggling with behavioral or medical challenges. UMFS works hard to identify supportive foster families and provide extensive, specialized training and comprehensive ongoing support. Your tax-deductible donation to foster care at UMFS enables foster children who have come from some of the toughest circumstances to get the support and care they need to turn their lives around. Make a planned gift and create a legacy that will support foster children for many years to come. There are many ways to participate in planned giving, including leaving a bequest to UMFS in your will, donating stock or securities, making a gift from your retirement plan or life insurance, or creating a charitable gift annuity or other specialized gifts. Your gift is an investment in high-risk children and their families, helping them become self-sufficient, contributing members of their communities, now and into the future. Depending on the approach you choose, your gift may also be tax deductible. You can designate UMFS as a beneficiary in your will or living trust. You can choose a specific amount of money or a percentage share of your estate. Please use our full legal name: United Methodist Family Services of Virginia. Your gift may qualify for an estate tax charitable deduction. A life insurance policy gift can significantly increase the amount of money you give to a foster care organization. Simply select the organization as the owner of a current or new life insurance policy. Fill out a change of ownership form with your insurance company, designating UMFS as the new owner. Please use our full legal name: United Methodist Family Services of Virginia. Donating a life insurance policy has several different benefits. It can reduce income taxes and estate taxes. It also maintains privacy since a life insurance gift is not a matter of public record. You can donate an existing policy or purchase a new policy specifically for charitable use. Retain control of your IRA, 401(K), or other retirement account during your lifetime and support foster care families after your death when you name UMFS as the beneficiary on your retirement plan. Complete a beneficiary designation form that names UMFS as a beneficiary of your retirement account. Please use our full legal name: United Methodist Family Services of Virginia. You can also include our EIN #54-0505969. Your gift may qualify for an estate tax charitable deduction. You can also use your retirement account to make a gift to UMFS during your lifetime. Once you reach age 70½, you must start taking the RMD (Required Minimum Distribution) from your IRA account. Instead of taking the full RMD yourself, you can make a QCD (Qualified Charitable Distribution) to UMFS, which may be tax free. Receive a fixed income for life after transferring cash or securities to UMFS. In exchange, you or your beneficiary receive a fixed income for life. UMFS benefits from the remainder of the gift. You receive an immediate tax deduction. If you transfer appreciated securities, your capital gains tax is reduced and spread over your lifetime. Take advantage of matching donations available through your employer. Many employers match, double, or even triple gifts or volunteer hours made by their employees. Please check your employer’s plan for details. In most cases, you earn a tax deduction for your personal donation. Why Donate To Foster Care? Give hope to kids who have suffered neglect, have experienced abuse, or face behavioral, medical, or other challenges. Empower foster care families to provide loving care to the children in their homes. Enable UMFS to make measurable and lifelong changes in the lives of foster children. Allow children to thrive and receive the education, stability, love, and security they deserve. Create a legacy that demonstrates your investment in children. Receive a charitable tax deduction in exchange for your donation. Your monetary donations to UMFS make a tremendous difference in the lives of foster children. To gain the maximum benefit and tax deduction from your generous donation, consult your financial or tax adviser. Then prepare to make a direct impact in children’s lives now and into the future.